Signed G. Chale, lower right. 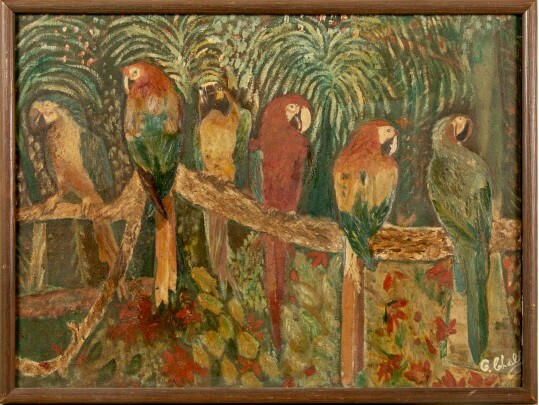 Recto: A group of macaws are perched on a tree branch in a tropical forest. Verso: an unfinished portrait of a lady in a green gown.